Madison Magazine is a monthly lifestyle and business publication. We are a locally owned periodical with resources for readers to use in their daily lives. The magazine concentrates on what makes Madison the unique and charming city it is: dining, events, people, politics, travel and the outdoors, arts and culture, health and fitness and more. Madison Magazine features a business section each month, highlighting innovative, interesting people, issues and ideas. 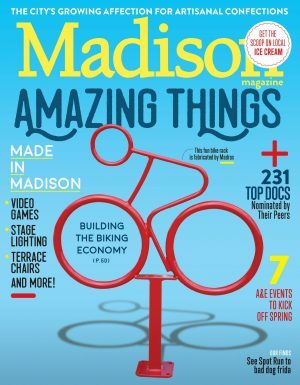 An award-winning magazine with a strong emphasis on service journalism, Madison Magazine covers everything from dining and entertainment to local celebrities, to rating the suburbs & Top Docs and all our city has to offer. Parent Company: Madison Magazine, Inc.